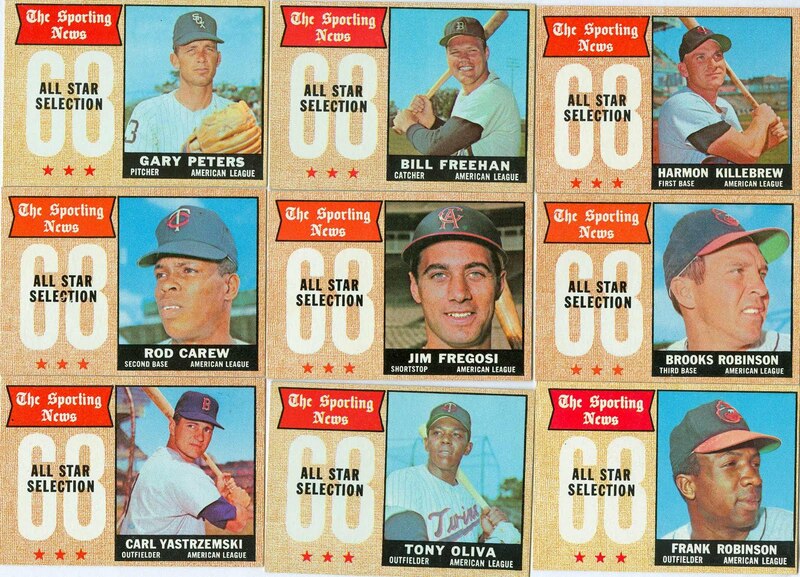 After a 5-year absence, Topps re-introduced All-Star cards in their 1968 set, featuring players selected as 1967 All-Stars by The Sporting News. 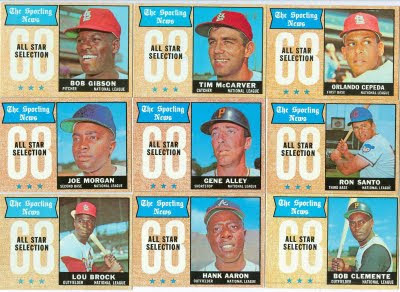 These choices differed somewhat from the actual 1967 All-Star lineup (which was still voted on by the players that season). 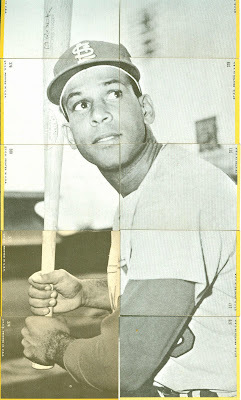 In the actual game, the NL had Juan Marichal, Joe Torre, Bill Mazeroski, and Richie Allen starting at P, C, 2B, and 3B respectively. 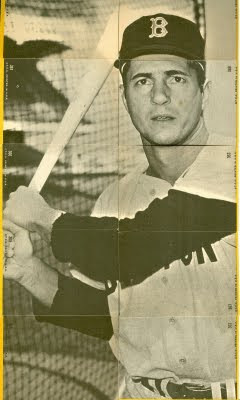 The AL featured Dean Chance, Rico Petrocelli, and Tony Conigliaro starting at P, SS, and RF. Otherwise, the starters were those you see in the 2 large blocks of cards below. Surprisingly, Joe Morgan, Ron Santo, and Ken Holtzman were not even on the actual All-Star roster in 1967, yet all were picked for the first team by The Sporting News. Four of the six outfielders started at their natural position, while Hank Aaron and Tony Oliva each started in centerfield. 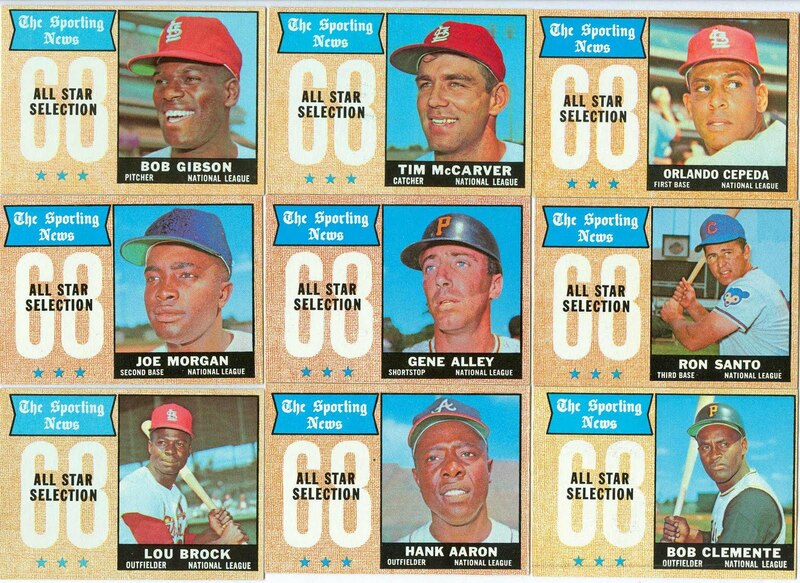 I always loved when Topps did the All Star cards in their vintage sets. I understand it was a way to have more cards of some of the top stars but so what. For the most part they were always sharp looking cards. 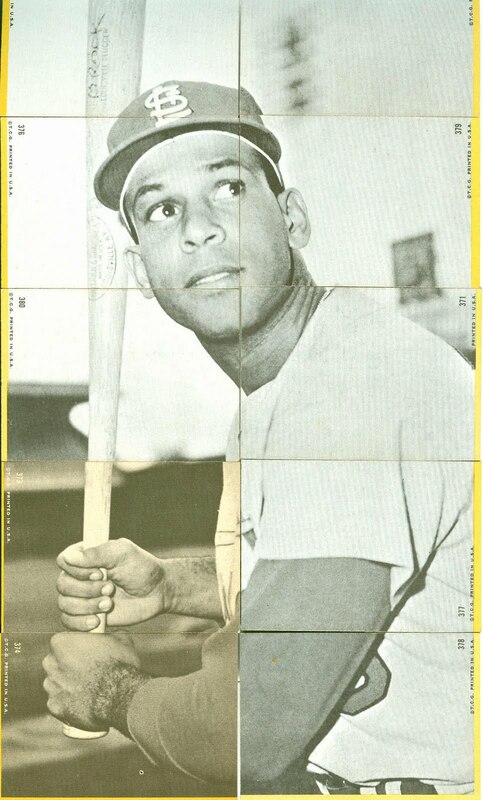 I liked them also, and although it meant additional cards for some players, at least back then Topps made cards for about 25 players per team. Unlike now, when they exclude at least 1/3 of the roster, have multiple cards for a few top stars, and insist on including retired players like Mantle, etc, which IMO is out of context for the set. (Aside from assembling Phillies' team sets) I haven't bought current baseball cards since 1993, except for the momentary weakness of buying the 2010 Topps base set 1st series. Those cards were bland, and the players names practically unreadable with the silver text. Never again! 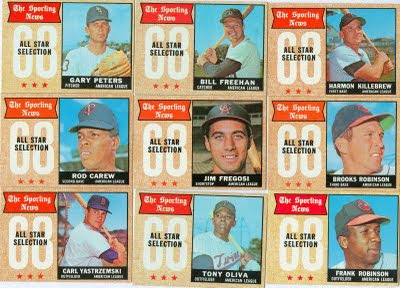 I have no baseball cards after the year 1975 though I do like some later sets but not enough to go back and buy or collect.